You can flag a default analysis template for a ferments under Winery Setup > Production > Analysis template. 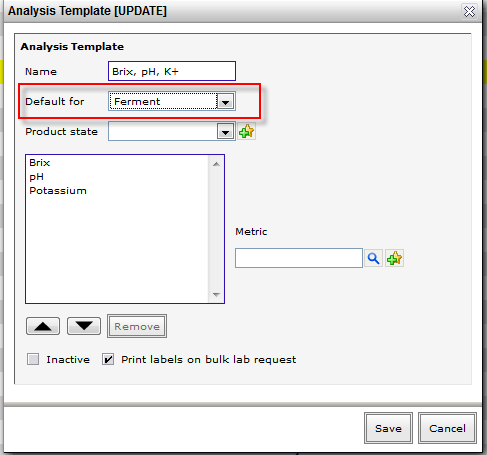 Select the analysis template you want to use as the default and change the Default for to Ferment. Incidentally, if you nominate a different analysis template when recording analysis against a wine that is currently fermenting and this is not the current analysis template that was initially used when the ferment was started, vintrace will prompt you to change the default for that ferment for all subsequent analysis.